The Times wants you to believe that the Kochs are “very private” but “brave,” that they are “sensitive to criticism,” and that “Charles [Koch] obviously is a classical liberal, who believes in the Bill of Rights.” What’s next for the Times — rehabbing the misunderstand Bernie Madoff? This 1300-word piece never once mentions the Koch’s insidious efforts to fund climate science denial, block all climate action, and roll back clean energy standards at a state level. The Koch’s belief in the First Amendment extends to being the leading funder in the world of efforts to spread disinformation, smear and harass climate scientists, and generally destroy any honest national discussion of how to spare Americans and billions of people worldwide needless misery for centuries to come. Any classical liberal would do the same. In its effort to win “worst headline of the year,” this New York Times weighs in with “Koch Brothers Brave Spotlight to Try to Alter Their Image.” The Times has the same dreadful print headline, web headline, and URL — so all the editors apparently agreed from the start that this nonsense headline somehow reflects reality. Memo to Times: There is a difference between being “private” people who “brave [the] spotlight” to somehow set the record straight — which the Kochs most certainly are not — and being secretive people like the Kochs who have always chosen to avoid the spotlight because of what they and their company are doing behind the scenes. The fact is there’s nothing whatsoever private about the behavior of the Kochs — nor is there any news whatsoever in the fact that the Kochs have always spent millions of dollars to try to improve their image. “Private” people don’t donate $100 million to M.I.T. in 2007 to get their name on a research institute. Private people don’t donate $15 million to fund and put their name on a dubious evolution and climate change exhibit at the Smithsonian’s National Museum of Natural History — and then join the Smithsonian board. If the Kochs (and their company) wanted to stay far away from the spotlight, then they would not have overtaken ExxonMobil years ago as the top funder of politicians and organizations pushing climate inaction and anti-scientific disinformation. 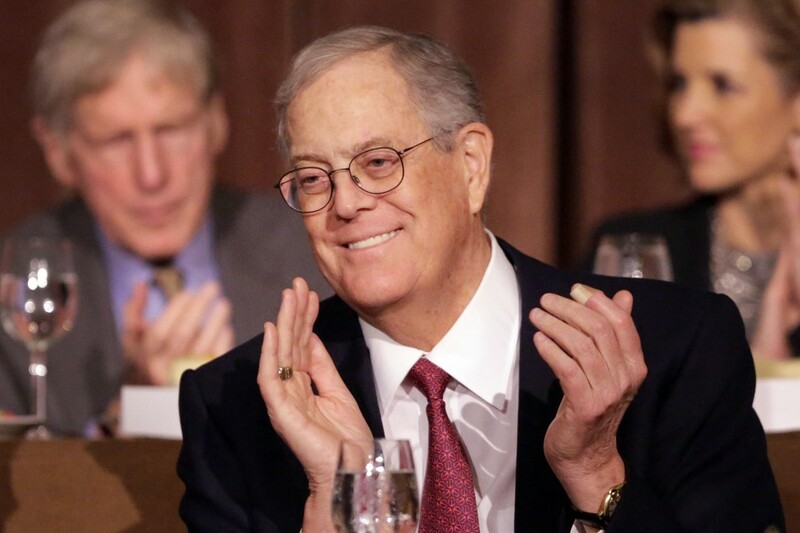 Koch Industries and the Kochs have spent more than $48.5 million from 1997 to 2010 to fund disinformation. From 2005 to 2008, the Kochs outspent Exxon-Mobil well over 2-to-1 in funding the climate denial machine. 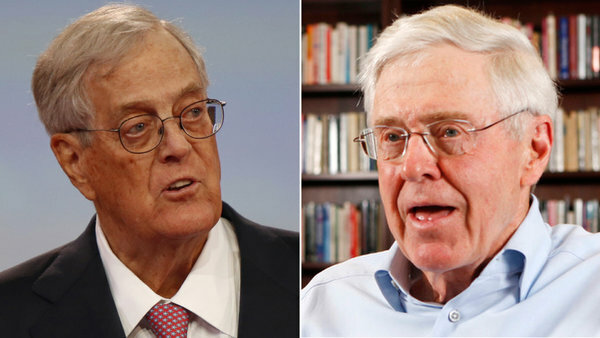 The brothers’ financial goal, announced on Monday at the annual Koch winter donor retreat in Palm Springs, Calif., effectively transforms the Koch organization into a third major political party. Only the Times knows the reason it would publish such a gullible piece on the Kochs’ image remake. By doing so, they helped the remake considerably. The reporter glossed over the Brothers’ history and didn’t mention their lavish efforts to support climate denial and oppose clean energy. 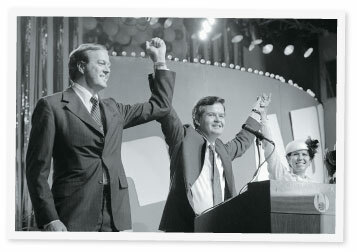 The story included only one direct quote from a Koch critic while relying on quotes from the recipient of an eight-figure donation and others who hailed Charles Koch as “amazing” and, bizarrely, “a classical liberal.” It’s hagiographic, maybe even a bit hallucinatory, and a prime exhibit of how political reporting often fails its readership. 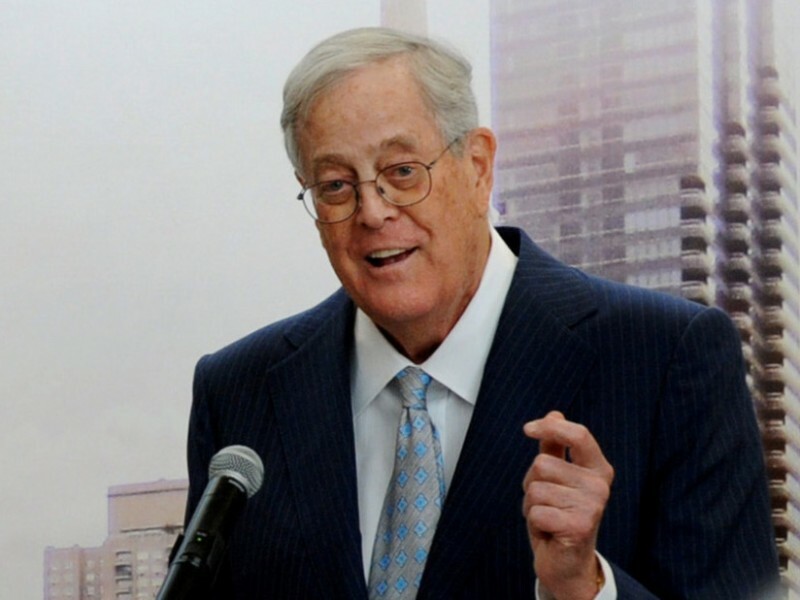 Long after this puff piece is forgotten, future generations and historians are very unlikely to view the Kochs as anything other than modern-day robber barons who used their wealth to try to skirt or rewrite environmental laws, with a livable climate in the balance. If indifference to the dangers of climate inaction by the rich and powerful is a sin, what would the Pope say about a company and it’s multi-billionaire owners who are fostering lies in order to spread indifference among the public, the media, and policy-makers? This piece has been updated to correct that Peter Dykstra is a current, not former, judge of the Oakes Award for Environmental Journalism at the Columbia University Graduate School of Journalism, and also to note that both New York Times pieces profiling the Kochs were written by the same reporter.